James Bond - The Secret Agent: The man with the golden typwriter - signed! Recently, Bloomsbury Publishing released the book THE MAN WITH THE GOLDEN TYPEWRITER. 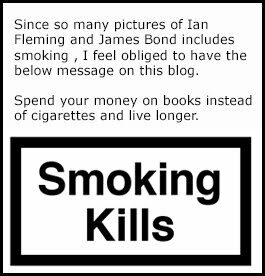 It is of course a book about Ian Fleming and more closely a book containing letters Ian Fleming wrote to others about James Bond. The book is edited my Fergus Fleming who is Ian Flemings nephew. The book was actually supposed to be called DEAR MR. FLEMING in the beginning but the title got changed. The purpose of this volume is to celebrate his brilliant mind and personality, and to showcase the backstory to each of his Bond books, how they came to be and the impact they had. 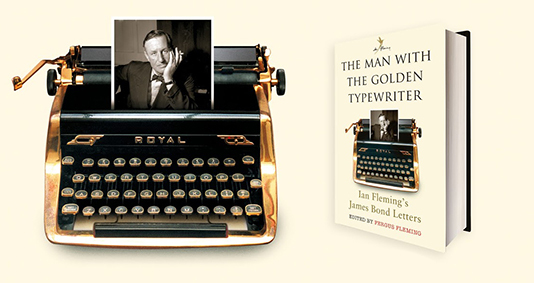 Maybe you have not heard the story of the Golden typewriter that Ian Fleming bought as a treat to himself when he received notice that Jonathan Cape wanted to publish Casino Royale. In 1995 an anonymous bidder bought the typewriter at an auction. Many believe the buyer to be Pierce Brosnan but when I meet him in 1995, when he came to Stockholm to promote GoldenEye, he said clearly that he was not the buyer. Since that day no one seams to know where the famous typewriter has gone. Do you want your copy signed? And that's what today's blog post is actually about because right now one can order a signed book at Goldsboro Books for the RRP of £25 + postage. You can order the book here. I have noticed that some (or many) of the blog readers are on a tight budget and then there is some other great options. If you just wish to read the book and not owning it I suggest you head down to your local library and book it (also eco friendly). If you do wish to own it without the signature you can buy it at Amazon for £17. But hey, that's not enough, there are other sellers at Amazon who actually sells new copies of this book for as little as £12.73. In other words almost half the RRP price. See it as a tip to all types of James Bond fans with different budgets. 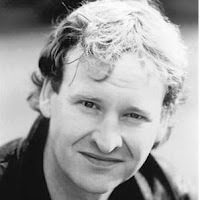 If you wish to read an interview with Fergus Fleming about the book you can head over to this web page. Below you can see a clip from the making of the audio book.